Have you ever wanted to build your own space station? Trade goods and care for the inhabitants? Explore distant galaxies and take on daring missions while trying to keep your meeple alive! Vox Games' space simulation game has launched into orbit at Gamesplanet and we're celebrating with a launch offer. Save 15% off the game until February 8th and get a free copy of their previous title Regions of Ruin as well! Head into space as Vox Games' space station simulation game has arrived at Gamesplanet. To celebrate the launch we're doing a special deal for the game until February 8th in which you can save 15% off the game and get a free copy of their previous game Regions of Ruin as well! Should you need to find out more about the games, or how to take advantage of this limited time offer we're put together a small guide to help you out. To take advantage of our launch offer for Meeple Station, simply purchase the game from us before February 8th and you'll get a copy of Regions of Ruin added to your account after purchase! Add Meeple Station to your cart. Purchase using your selected payment method. Head to your account page and you'll find your free copy waiting for you! If you've ever dreamed about building your own space station and exploring the galaxy then Vox Game's brand new Early Access game Meeple Station may be the game for you! Build your station with multiple levels and focus on keeping the needs of your Meeple in check. Trade, Mine, Research and Survive in this space simulation title and do your best to maintain your station as you face dangers such as Pirates and Meteoroids from destroying all you've built! 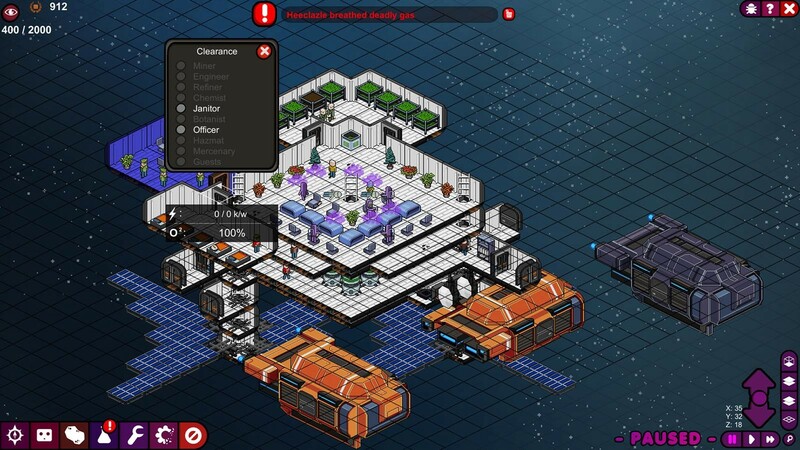 Currently the game is in Early Access, but the developers are looking to bring elements of the popular base-building strategy game Rimworld into Meeple Station. They also want to add a campaign to the game, online co-op, extended features and more during their time in Early Access, but most of the features of the game are already in place. Want to build a sprawling, multi levelled station that caters to your Meeple’s needs? Focus on trade, mining and research whilst keeping your hapless Meeple alive by generating power, life support wiring your station up. Set up a botany department in the basement, only to have a fuel line cut and set fire to it. Fix leaks caused by your fuel line not being maintained, or bits of your station lacking oxygen due to an open airlock. SCIENCE! Remember kids, failure is fun. When something goes wrong, it goes REALLY wrong in Meeple Station. Your officer could decide that the airlock isn’t necessary and deconstruct it, wiping out half your station, only for a stray meteor to hit your solar array, powering down your life support while everyone is snoring away in bed. Trade any of the myriad of goods you scrounge up. Become a mining station, strip mine entire quadrants and sell the runoff to a trading faction nearby but be wary of pirates and face eating space-squids. Explore the galaxy in search of new resources to sell and people to meet. Go anywhere you please so long as you have enough fuel and an engine! Do you want to focus on engineering? Defence and security? Refining? Set up a research lab and hope for the best! Officers can unlock new tech, but they can be a difficult (cantankerous) bunch to appease, and if you let them, they can and will run your station into the ground! Good luck captain. Explore a Kingdom in the side-scrolling RPG Regions of Ruin. 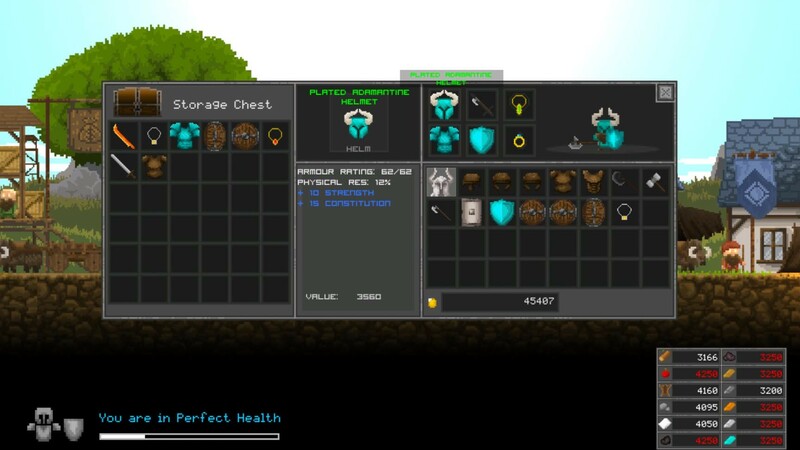 As you venture out into the world you'll be faced with tough challenges for your hero to take on and will be able to upgrade your character with a variety of weapons, armour and skills to tackle any danger. Forge your own equipment and discover a rich world which has been hand crafted to bring detail to every area in the game. Customise your town and send workers out to bring back valuable resources from undiscovered areas. The game also has a variety of quests for you to take on, including many side-quests and the main storyline, which will take you on a journey to uncover great mysteries. Meeple Station is now available at Gamesplanet and you can save 15% off. You'll also get a free copy of Regions of Ruin until February 8th when you purchase Meeple Station! No interest in space stations? You can grab the side scrolling RPG Regions of Ruin for 90% off until February 8th as well.